I lost my first and only opportunity to see him live with Heaven and Hell in 2010. They were going to play in Lisbon but unfortunately they cancelled the tour due to his health issues. Total legend and one of the most remarkable voices in the scene. If it wasn't for Dio certain Heavy Metal sub genres such as Power Metal would probably never exist. Have you heard the recent news about Kiss' frontman Gene Simmons wanting to trademark the "devil horns" gesture? What a complete idiot. @Viriato wrote: Have you heard the recent news about Kiss' frontman Gene Simmons wanting to trademark the "devil horns" gesture? What a complete idiot. The song "Kill the King" appeared on this album before it was recorded for a studio album, 1978's Long Live Rock 'n' Roll . 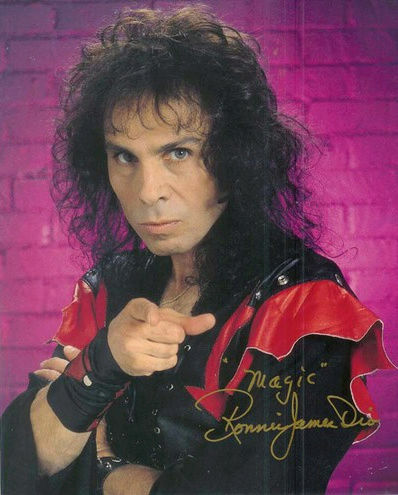 . . Ronnie James Dio claimed that the violent imagery in the song is actually about a chess game. I saw a rainbow when I was out today and it reminded me of this song . . .